However, at age 8 she fell very sick with pleurisy and pneumonia and this damaged and weakened her health for many years afterwards. 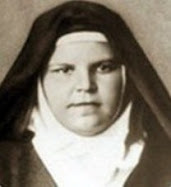 Yet the call and desire to serve God by helping others continued to grow throughout her formative teenage years and by age 17 she received permission from her parents and the religious superiors to enter ‘The Sacred Heart of Jesus’ convent in Hall (Tyrol), Austria. 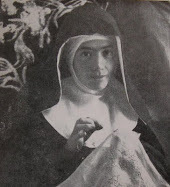 But after less than a year the mother superior informed her that she was too weak and sickly for the rigors of religious life in their particular convent, and thus she obligated to leave. 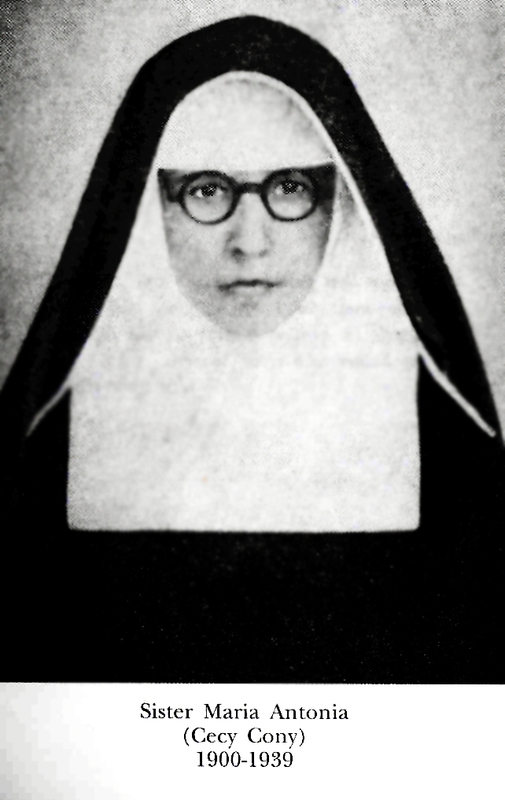 Still determined that she was to be a nun she requested admittance to the Dominicans in Thalbach, Austria, but after only 8 days the mother superior informed her that she was too weak for life in their convent, so she was again obligated to leave. 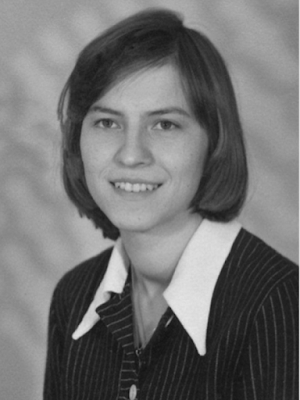 Soon afterwards for a 3rd time she once again sought admission to be a nun—this time with the Franciscans in Gossau, Switzerland—these were mission Sisters and she thought that perhaps this was were God was calling her. 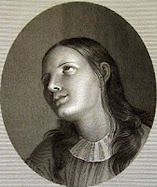 But again such was not God’s will and after a short time the Mistress of candidates told her that unfortunately she was too weak for the rigors of missionary work and with this last refusal she realized that God did not want her as a nun, but that her apostolate was to be a unmarried layperson living “in the world” amongst her fellow countrymen. She spent much of her days doing housework and sewing, helping around the farm and surrounding farms, and watching neighbors children. Most of all she lived each moment in a spirit of love, prayer and devotion to God and her neighbor, living out her Catholic faith to the best of her ability. And it should be noted that at a young age her mother had taught her to pray frequently for the poor souls in purgatory so this too was something that was a part of her life since childhood. “One of my happiest moments of my childhood happened when I was fif­teen which was in 1930 or so. One of my brothers and I were working on a farm in Bavaria. When we applied for work there the farmer had clearly promised us that we would always be able to attend Sunday Mass; but it was not long be­fore I came to the conclusion that this promise was only valid for my brother, but not for me. This was because nearly every Sunday morning the farm­er's wife became mysteriously ill and insisted that I stay at home to attend to her rather than letting me go to church with my brother. "Soon Pentecost was coming and I again wondered what the farm­er's wife would do. The night before Pentecost Sunday she was entirely healthy and so I hoped with great expectation that I would be able to go to Holy Sacrifice of the Mass the next morning. But, at nine o'clock Sunday morning she again suddenly became sick -- with a mysterious headache -- and told me in no uncertain terms that I had to stay with her again because I just couldn't leave her alone when she was sick! I was broken! By one o'clock in the afternoon the headache left her and she said I could go. I ran outside and went around an unoccupied out-building behind which there was a bench with a peaceful view. 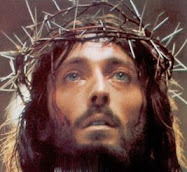 There I cried in des­peration for again having missed Holy Mass which I loved so much, and on such a big feast day! Suddenly I was surrounded by a cloud of white doves that settled slowly all around me in the grass – they were everywhere! In the grass, on my lap, all the way around me -- just everywhere! They stayed for at least an hour! "My tears of sadness had quickly changed to tears of joy and I was engulfed in such happiness that all else was gone. Then they left. Afterwards, I told my brother about them, but we did not tell anybody else. Over the follow­ing weeks he asked neighboring farmers whether there were any white doves or pigeons in the area and the answer was always the same __ there were none. I do not think another experience from my childhood touched me as deeply as this had. It was pure beauty!" 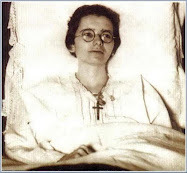 In 1940 came the first visit from a Holy Soul (a departed soul from Purgatory) –Maria was age 25. The holy soul--a man-- appeared to her in a vision one night. He was pacing back and forth in her bedroom at the foot of her bed. Confused, she called out to him and said “Who are you?” but she received no reply. Then she hopped out of bed and tried to grasp him saying “How did you get in here? Go away”, he gave no response and as she reached out to touch him he disappeared. However, as soon as she got back into bed he reappeared, pacing back and forth once again. She wondered how is it that she could readily see this man, but not speak to or touch him. She thought to herself, “Well, so long as he does not come near me” and she remained watching him and after awhile he disappeared and she remained awake pondering the meaning of what happened. The next night the man suddenly appeared again, once again pacing back and forth. This time Maria immediately asked “What is it that you need from me?” The man suddenly stopped, turned towards her and replied “Please have three holy Masses said for my intentions and then I will be delivered.” And then he immediately disappeared and Maria said “It was then that I knew that he was a poor soul.” The next day she once again told her parish priest, Fr. Alfons Matt, what had happened and the three requested masses were said. The good priest also told her to always seek to do whatever she can to help the souls that might come to her. Soon more souls from purgatory would come asking for her prayers and sacrifices, and thus began a lifetime apostolate for the holy souls. 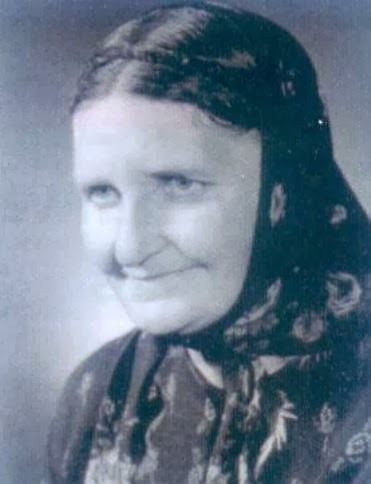 Over the next few years, only 2 or 3 poor souls came to her each year, but as time went on, more and more were coming to her seeking her assistance through prayers and sacrifices. From the onset however it must be noted that Maria never sought visits from the souls in purgatory—she never called upon them or “channeled” them in any way. They always came to her without any seeking on her part. 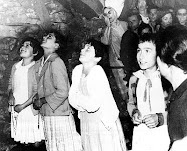 In fact the holy souls have told her that it is God in His great mercy who gives them permission to come to her to obtain sacrifices and prayers that their time in purgatory might be lessened. -What is the difference between what you are living with the souls of the departed, and the practices of spiritism (by mediums/psychics etc):? "We are not supposed to summon up the souls - I don't try to get them to come. In spiritism, people try to call them forth. This distinction is quite clear, and we must take it very seriously. If people were only to believe one thing I have said, I would like it to be this: those who engage in spiritism (calling forth the dead, moving tables and other practices of that kind) think that they are summoning up the souls of the dead. In reality, if there is some response to their call, it is always and without exception Satan and his angels who are answering. People who practice spiritism (diviners, witches, mediums, etc.) are doing something very dangerous for themselves and for those who come to them for advice. They are up to their necks in lies. It is forbidden, strictly forbidden, to call up the dead. As for me, I have never done so, l do not do so, and I never will do so." 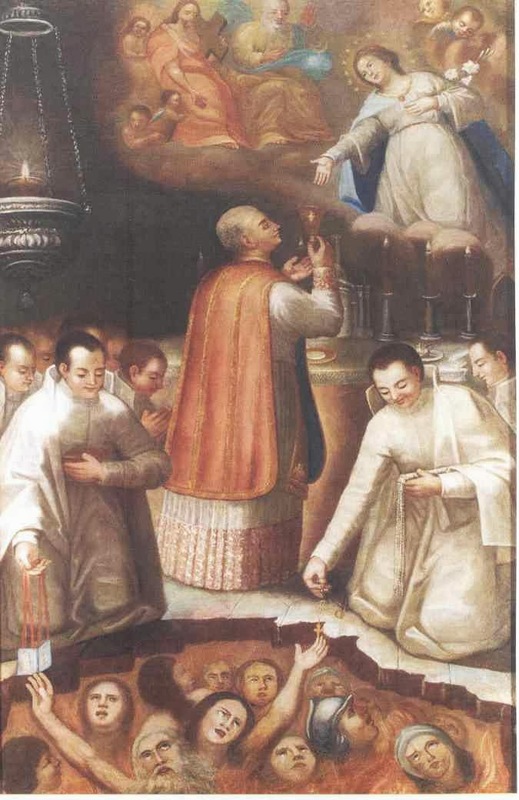 The holy souls have repeatedly told her that the greatest help for them that they can obtain from those here on earth is the offering of holy Mass. Next to the Mass, the holy Rosary and the Stations of the Cross are very beneficial to them. Any sacrifice we make--even the smallest ones-- offered specifically for them have a great value in the eyes of God, and greatly lessen their sufferings and time in purgatory. The poor souls have told her that even the smallest prayer or sacrifice is like giving a cool glass of water to a parched sojourner travelling in the driest desert. They normally appear to her in their normal clothes, that is, the ones that they most often wore during their lifetime, and they often have the appearance of one earnestly begging and desiring help. Sometimes they appear somewhat distraught but this presumably is to elicit compassion on the part of Maria. They normally appear to her looking as they did in the prime of their life, however children and teenagers always appear as they did right before their deaths. 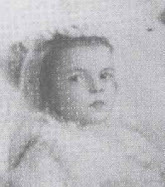 And while there are indeed some children in purgatory, their Purgatory is normally not very long or painful, since during their lifetimes they often could not have committed any grave sin since they did not attain much understanding or discernment, and are therefore not accountable to the extent that an adult is. The holy souls have also told her that there are many, many degrees in purgatory, and that the lower parts of purgatory are the most difficult and the most purifying, and this is where those with grave (severe) sins go--that is, grave sins that have not been forgiven in the sacrament of Confession. As each soul makes reparation for his/her sins that they have committed against God and there fellow man, they are slowly purified and therefore they slowly make progress to the higher levels of purgatory. The souls that appear to Maria are almost always souls that are residing in the higher levels of purgatory. Essentially, the more repentant and sorrowful one is for the sins committed against God and neighbor during ones lifetime, the quicker one progresses from the lower to the higher degrees of purgatory. 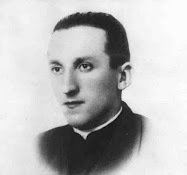 According to Maria, the greatest "complaint" of the souls in Purgatory is how they are almost completely forgotton by their family and loved ones--that rightly complain that they receive no spiritual help from those they themselves helped so much during life! How few prayers are ever offered up for them--even at their funerals! 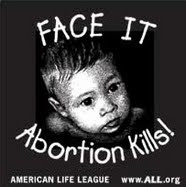 Yet prayer is precisely what they need the most! All the beautiful memorials, celebrations, tattoo's etc done and given in their honor, while they may be good intentioned, in reality do nothing for them and in no way help to relieve them of their suffering/purification. The poor souls have told Maria that because they no longer possess a physical body, they can no longer make sacrifices for themselves in reparation for their sins; nor can they physically give an offering(s) in request for a holy Mass(or Masses) for themselves—essentially they are able only to offer up to God their prayers and the repentance for their sins, so in many ways they are almost helpless, and are forced to rely on the mercy of God, the most extraordinary and blessed help of the Virgin Mary, the prayers of the Saints in heaven, and the prayers and sacrifices of the Church and of all the peoples here upon the earth. -Can you give me an example of where a very small prayer made a very big difference? 'Yes, every smallest prayer is heard. Let me think. Oh yes, and here again it concerned a Poor Soul who came to me some years ago. 'A man appeared one night and after he'd told me what he needed to be delivered, he remained standing in front of me and asked, "Do you know me?" I had to answer no. He then reminded me that many years ago, in 1932, when I was only seventeen he had traveled with me briefly in the same compartment of a train to Hall, [Austria]. Then I certainly did remember. He had complained bitterly about the Church and about religion, and I felt I had to respond to this by telling him that he was not a good person to pull down such holy things. This response surprised and annoyed him, and he told me, "You are still too young for me to let myself be lectured by you." And I just couldn't resist being a bit rude and fired back at him, "Still, I'm smarter than you are!" That was that, he sank his head into his newspaper and didn't say another word. When his station came by and he left the compartment, I simply prayed under my breath, "Jesus, do not let this soul get lost." And now that he was with me, he told me that that tiny prayer had saved him from getting lost for all eternity." "A very important thing is to accept before you die all the suffering that God has sent us. 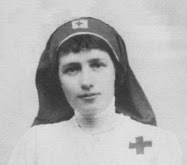 I know of a woman and a priest who were in the same hospital with tuberculosis. The woman said to the priest, "I have asked the Lord to give me the opportunity to do my purgatory here while I am still alive." To this the priest replied: "I dare not ask for that." and right at this moment there was a nun who had been there listening to this conversation. When they both had died from tuberculosis, the priest appeared to the nun in a vision and told her that the woman had gone directly to heaven, while he had to spend a lot more time in purgatory for not accepting his suffering and offering it to God in reparation for his sins. Here God gives us the importance of the value of our sufferings are offered with love. The sufferings of the earth are worth far more in reparation for our sins compared to the sufferings of purgatory. For this reason, a major illness before dying can in reality be a great blessing and grace of God." -That priests and nuns should always wear their habits/clerics, in as much as possible. -That Extraordinary Eucharistic Ministers should be used very rarely, that is, only when it is absolutely necessary; that priests and deacons should make every effort to distribute Communion to the faithful, even though it takes longer to do so. - That receiving Holy Communion in the hand should be avoided as much as possible. -That holding hands during the Lords prayer and that the sign of peace after the Eucharistic prayer should be avoided in as much as it is possible, since both of these are a distraction from Jesus who is present upon the altar and that we should be concentrating upon Jesus alone during this important time of the Mass. -That dogs are the most hated animals by the devil and the demons because they are the closest and most helpful animal to mankind. -The holy souls have also revealed to Maria that it is on Christmas day that the most souls are released from purgatory and then also Good Friday, Ascension day, All Souls day and the feast of the Assumption. 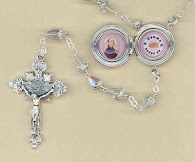 -Has a Poor Soul ever appeared to you asking that you pray a Rosary with him or her? 'Yes, that happens. One time I can remember now was in the '50s, as I was taking a train from Bludenz. It was a day when many people were traveling so I chose, as I often do anyway, the last car of the train. I got in and soon found a compartment with only one woman sitting in it, and so I joined her. I had not even settled in yet when she proceeded to pull a Rosary out of her bag saying, "Now, here is some­body who will pray a Rosary with me." My very first thought was, "If you do this with everybody, it's no wonder that you're sitting all alone." But, of course, I was happy to pray it with her and, while we did, no one else entered our compartment. Upon finishing it, she said, "Thanks be to God", and was gone instantly. So there I was sitting alone in the empty compartment with many people milling around everywhere else. Not for a second until then did I have an inkling that she had been a Poor Soul. Maria Simma says: ‘I knew of a woman who had made the Poor Souls the promise to light a blessed candle for them every Saturday. On one such Saturday her husband said, "Oh stop that, you don't have to do that. It's old ­fashioned, and the dead are happy. They hardly need that, and I don't care what you promised them." The woman, of course, was saddened but still wanted to go ahead with it, but without being disobedient to her husband. So she thought, "All right, I'll just stick it in the wood stove where George won't see it. He hasn't lost anything in there." So she went ahead and put it in there, closing the little door that, by the way, had a small window in it. Then she left the house and soon her husband returned. As he was about to throw something away he glanced over to the stove and to his surprise saw some light inside. This puz­zled him, and he opened the little door to look inside. To his great astonishment, turning somewhat pale, he not only saw the burning candle, but around it six pairs of perfectly folded hands. Shocked, he closed the door and waited for his wife to return. When she did, he said, "Why put your candle inside the stove? You might as well put it out here on the table." Maria was very traditional in the beliefs and practice of the Catholic faith--and these views, she stated, was because of what the 'holy souls' had taught her. For instance, she was very much against the reception of Communion in the hand. 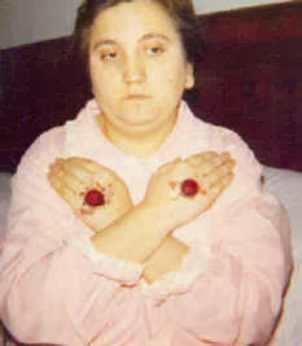 According to her, the holy souls taught her that receiving Communion in the hand was offensive to God, and moreover that the Bishops who had pushed for this practice in their Dioceses had committed a grave sacrilege, and would have to pay dearly for this in Purgatory. In fact, the holy souls had allegedly told of one certain Bishop who had to stay in Purgatory until the end of the world, apparently for this very reason. And then she also stated that there is a bishop who is going to have to stay in Purgatory until the permission for Communion in the hand in his diocese is rescinded. To illustrate this point, she would state that none of the Popes (so far) will give Communion in the hand, nor have they ever permitted it in the diocese of Rome (the pope is the bishop of Rome). 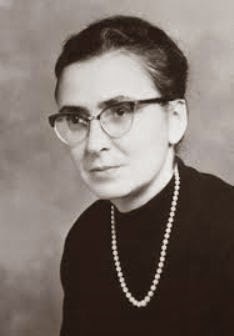 Additionally, Maria was very much against the use of Extraordinary Eucharistic Ministers and felt that they should only be used in extreme cases---again, she said that this was something that the holy souls had taught her. She was not very favorable towards the television, and did not watch television herself--she seemed to think it that overall it was okay to watch TV for the news and for educational purposes, but she felt that most of the programming was sinful. 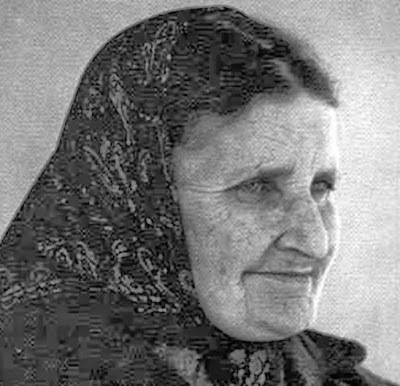 Maria remained single and lived alone her entire life in a poor, simple chalet in the mountain village of Sonntag, Austria. 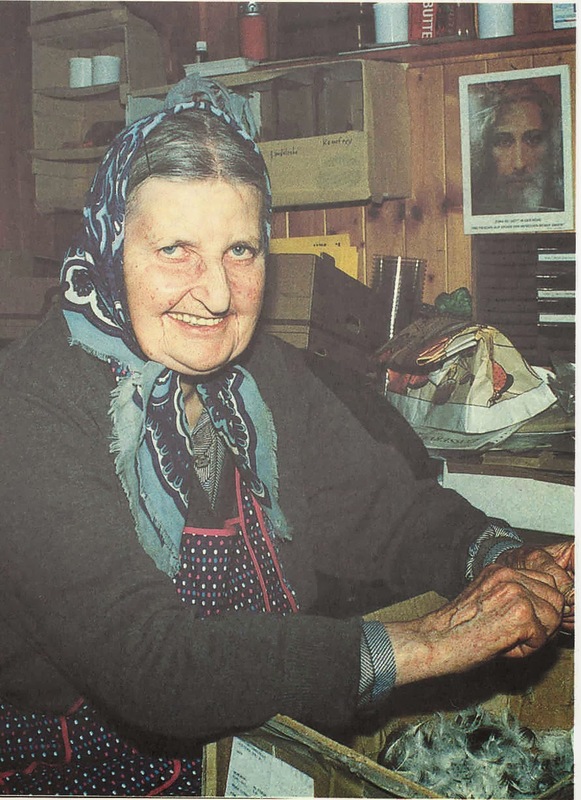 She received countless letters over the years from people all over the world seeking spiritual advice and assistance, and she spent many hours each day replying to these requests in writing and in prayer, to the best of her ability. 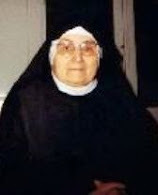 She spent her life giving spiritual advice and consolation to countless souls, along with assisting the poor souls in Purgatory through her daily prayers and sacrifices. She never accepted donations or gifts from anyone and lived off her garden and her skillful sewing work. 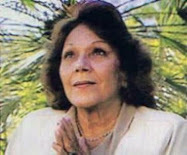 Maria believed in both Garabandal and Medjugorje and often spoke in support of both of these alleged Marian apparitions. 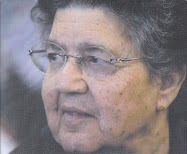 Maria Simma, born here in Sonntag, has spent all of her eighty years in our parish. Her modest house is very close to the church and for her this has great importance. Every day, in fact, Maria is present at the holy Mass, which in her eyes is the most valuable thing on earth. 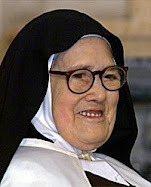 Her religious life consists in prayer, in sacrifice, in reparation and a courageous testimony which she offers by keeping alive the Catholic faith and spreading it in union with the Holy Father. Her devotion to the Blessed Virgin Mary is known to all and she frequently makes pilgrimages to Marian shrines. Her lifestyle is humble and simple. I believe that those who live and profess an authentic Christian faith and a deep compassion may be the best examples for others who benefit from their help, and by it manage to stay on the straight and narrow. Maria is among them. She has always been sought out by others and still is, despite her advanced age, by many people for advice and direction of the spiritual order, and for her help in every kind of situation. Despite living in this tiny village of Sonntag in the region of Vorarlberg and never wanting to attract attention to herself, she is known far beyond the borders of Europe. People come to visit her from the farthest corners of the globe. The letters she receives, containing a huge variety of problems and intentions, are so numerous that her ability to respond at all is put to the test almost daily. She is also pursuing a veritable apostolate of spiritual direction by phone. In this way also she devotes much of her time to all those who call at all hours for advice. She speaks to them and guides them with the basics of Christian belief and prayer, helping and consoling them. The Grace of God works everywhere and It operates in all the ways that God deems it appropriate. 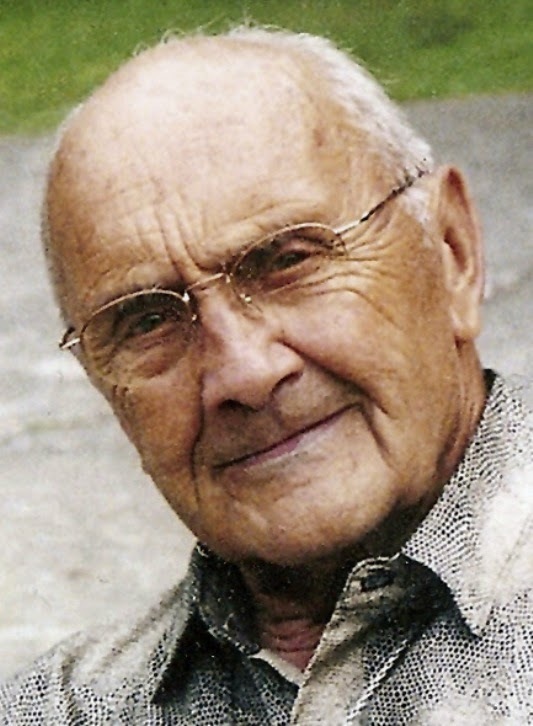 Pastor of Vorarlberg Sonntag, AUSTRIA since 1976. I have read and shared about books about Maria Simma's life (and the stories of her encounters with the Holy Souls)..(by Maillard and Eltz) and the effects have been amazing. Telling people to pray for the souls and sharing stories about the souls have very different effects. I have observed many people living more spiritual lives after reading about Maria. But finding the books written by Sr Emmanuel and Nicky Eltz is so hard! Has there ever been any comments by Maria Simma that relate to the prayer dictated to st. Gertrude by our Lord to release 1,000 souls from purgatory? This is a great site. It obviously required many hours to compile and edit. Thank you for your efforts! 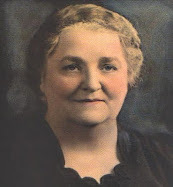 Have you ever encountered any first-hand accounts by mystics, such as Maria Simma in this post, that might shed light on the question of whether or not souls in purgatory can pray for the living and other attending questions, such as should/can we ask for the prayers of the deceased we're praying for, does God deliver our requests to the souls in purgatory the way He does to those in heaven, etc.? From what I can find, theologians and saints throughout history have been divided and there is no concrete Church position on this. To reply to your question, yes, I have read a number of statements from various mystics (and Maria Simma is one of them) who have affirmed that the souls in purgatory can pray for us and assist us in various ways. The reason for this is because although they are not in heaven, there salvation is assured, and they are already numbered with the elect. -The Church triumphant (those in heaven). And together we form one Body in Christ. So YES, the souls in Purgatory can pray for us and assist us so long as the matter is in union with God's will, of course. Thank you so much for researching,posting these, and other information on the Catholic church.God bless you abunduntly. Wow! Very interesting story. I will pray more for the souls in Purgatory from now on! I believe in prayers for the souls in purgatory. I have been praying for them daily one part of the rosary to their intentions. I saw my mother many times in my dreams and she talks to me about the problems I am currently facing in my life, I have a feeling that we are always connected with our departed family and friends through prayers. I believe it is our duty to free them from their prison and that in gratitude they will pray for us and intercede for us at the hour of our death. God Bless! This a wonderful site and thank you for all the work you put into it. 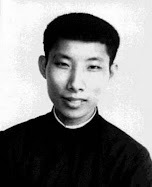 I was told by a priest and also read that when they reach heaven, all the Holy Souls we have helped will pray for us. The prayer from St Gertrude the Great most certainly helps release souls. Jesus promised this to her and He cannot lie. Amazing woman, I think this has been a bit of a reality check for me. I have always worn the brown scapular, and I wonder if she ever commented on it? I have read and been fascinated by her books. I learned how important it is to pray for your deceased relatives and the souls who have no one to pray for them. Let us all pray for the souls in purgatory. They need our prayers. It is good to offer Masses for the souls in purgatory. The sacrifice of Jesus (The Holy Mass) has eternal merits for them and for us as His Love is for all. Have you heard of The Daily Pilgrimage to Purgatory? St Margaret Mary was given this as a devotion to the Sacred Heart of Jesus. It is a booklet with a series of prayers for each day of the week. There are several indulgences attached to it. Please pray for the conversion of Eric McDonald to true faith and hope in Jesus Christ!!! Our Dear Lady, Mother of Our Lord Jesus Christ, have mercy upon us. My Dear Mother Mary, pray for my friend Eric McDonald.Please show him your maternal love and care.Please pray for the conversion of his soul.May God Almighty, Save his soul. Most Loving Mother, I miss my friend Eric.I do not know where he is nor how he is!! !Mother Most Holy,Protect him and keep him safe.Please see that his needs are meet and that he experiences the joy of salvation.Help Eric in the name of Jesus Christ Amen!!! May St Michael, defend and protect Eric.May he bring Eric home safely!!! Wow Is the big book "Out of" print? What web sites the best to order? It has been my practice for many years now, during the 3 hour of Divine Mercy among my other prayers, to beg God to empty purgatory into heaven everyday. Jesus Promised St Faustina, that anyting that was ever asked of the Father in His Name, during this holy hour of Divine Mercy would not go unanswered. This is the prayer I pray: "Eternal Father please take all the pain and sufferings of the holy souls in purgatory and Unite it all with the perfect and holy passion of Jesus, His true Presence in the Holy Eucharist and the benefits and Graces of all the Masses said this day and please empty purgatory into heaven daily during the special hour of Divine Mercy!" I hope everyone joins me! Blessings! I pray the Divine Mercy prayer every day... Also the Good Shepherd prayer at 5pm. I have learned very much about the Souls in Purgatory and how much they need my prayers, sacrifices, sufferings, Masses, Rosaries, and Love for all the Souls in Purgatory in union with My Heavenly family and above all Saint Padre Pio. I will devote my life to this cause. Prentiss Stepps, I have learned very much about the Souls in Purgatory, and how much they need our prayers, sacrificed, sufferings, Daily Masses, Daily Rosaries, and Love for all the Souls in Purgatory in union with my Heavenly family and above all Saint Padre Pio. I will devote my life to this cause. Sadly, so many of us Catholics have bought the Protestant lie About themselves that we, like them, are assuredly going to Heaven. They add fuel to the Protestant anti-Catholic lie that we believe good works are what saves us by saying "I'm a good guy, so I'm going to Heaven" or "He's a good guy, so he's going to Heaven". Maybe we or those ones will just by God deciding so despite themselves, but they talk of it as if they'll pass Purgatory. I wish God gave us more valid soul-reading mystics, so we could know where we stand, if real with ourselves, or maybe where a deceased soul is. Ones that come out of Medjugorje tend to have non-supernatural-origin messages, so I would rule followers of that and other ones of that sort out. Luther taught us well about the false prophet that the catholic church has become and still is today. We cannot ever presume to know Gods thinking save that Genesis 1 tells us in the beginning. It makes sense. Until /26 onwards where mans rotten hand is clearly at work and apparently God changed his mind and said we can use and abuse all his creation with impunity!! Complete cobblers and we would need to be a real moron to believe it. Faith is just that, faith that we will see heaven. But its a safe bet we wont unless we serve God and our fellow man, rather than talking about serving as the catholic church teaches. Because of the current church God has become a clocking on exercise for an hour a week on a Sunday. Our "obligations" are over and we can do what the hell we want for the rest of the week. Its no coincidence that the greatest threat to humanity comes from so called Christian countries and their lies and deceits in making war, aggression, crimes against humanity. Isis, Al Qaeda, Taliban et al are all creations of the west to fight their phoney and proxy wars. As we rush headlong into ww3 with someone, anyone around the world, we should turn back to God pretty quick and follow him alone and no false prophets. if the church is leading us astray walk away. Luther, good as he was, too became corrupt, and his follwoers were only too happy to follow yet more false leads even to this day. We should seek the perfection of Christ in our lives in everything we do. Even if we never attain it this is the only goal we need. Hording riches in homes and pensions, capitalism etc is false teaching. It's really not rocket science as Jesus coming showed us.repent the end is nigh. I just lose my husband 2months+ ago when I was 36 weeks pregnant..he died due to gunshot during work,he was a ranger. and we have our 3yr olsd daughter. after he died, I still believe in god but at the same time im losing my hope toward god, I lose the purpose to pray..im not happy when praying but I know I should pray..maybe it was a sign to away from god, but I realized it..my mom n aunt sometime tell me about what the dead soul would after death both in catholic and ancient believes...my aunt tell stories about maria simma sharing..so I asked for that book..thanks God, I found my purpose to pray..how to think when I have difficulties or sad feeling..importantly how to deal with grief... I believes this is the way god talk to me..through maria simma sharing..I am now want to find any st. to devotes to...god bless your soul maria simma and all the souls in purgatory..to my husband cyril quing..I miss you..god bless ur soul.. There is nothing like purgatory, its either you go straight to hell or to paradise, don't be cheated.